Diablo 3 For PC Vs. Console: Can The 360 And PS3 Match Up? The release of Diablo 3 for consoles was, to say the least unexpected; so much so that its announcement was actually a bit disappointing, as Blizzard’s appearance at an early Sony PlayStation 4 press conference seemed to hint an entirely new game. Predictably, porting one of the PC’s most beloved franchises to the console has caused a fair share of grumbling; diehard computer gamers have, as always, turned their noses up at the couch experience. But does this mean the console port is really sub-par, or is it just gaming elitism? Can this relatively new game run smoothly on hardware nearly eight yeas old? And has this new version fixed any of the original’s complaints? The answers may surprise you. The auction house was one of Diablo 3’s most controversial features, and it remains a flash point for online arguments to this day 4 Things That Really Annoy Me About Diablo 3 [MUO Gaming] 4 Things That Really Annoy Me About Diablo 3 [MUO Gaming] Last week we talked about Diablo 3, and some of the amazing things that I love about it. This week, I am going to have to dip my toe into the dark side. After all,... Read More . While some like playing the markets and dumping loot for gold, others hate the need to hop out of gameplay to obtain the best items. Blizzard has tried to resolve the latter group’s complaints, but change has been slow. On console, however, there is no auction house. That means players can’t simply buy the items they need, which in turn means the loot drop rate has been drastically increased. On PC, players can go a week without seeing a decent drop; on console, one can be found every few hours at most. Killing the auction house also increases the importance of crafting, an interesting feature PC gamers often overlooked in favor of auctioned goods. Since drops useless for the class you play can’t be sold to others, it makes sense to salvage them, providing a good supply of materials for crafting items. Opinions may differ, but I find the auction-less Diablo experience far superior. The game feels more like the previous titles, which often saw gamers swimming in loot, and players don’t have to hoard gold to buy decent items. Which is great. Most gamers don’t play Diablo to feel like Scrooge McDuck. Diablo 3’s other great controversy at launch was its mandatory Internet connection What Is DRM & Why Does It Exist If It's So Evil? [MakeUseOf Explains] What Is DRM & Why Does It Exist If It's So Evil? [MakeUseOf Explains] Digital Rights Management is the latest evolution of copy protection. It’s the biggest cause of user frustration today, but is it justified? Is DRM a necessary evil in this digital age, or is the model... Read More . Many gamers were stunned at this requirement, as the first two titles were known for great off-line and LAN play. The console version has, thankfully, restored these values. While an Internet connection is required for online co-op, every other feature is available offline. You can play the entire campaign without ever connecting. The console even supports LAN play! All of this goodness sounds like it might come at the cost of cloud saves, a feature Blizzard touted to help justify the PC version’s always-online design. While Battle.net is not supported (meaning you can’t import your PC character), console players can save characters to USB or to each console’s respective cloud storage. The first two points are obviously favorable to the consoles. PC gamers have been asking since release for offline play and better loot drops, and that’s exactly what the console versions have been given. But is the game as much fun to play? The answer, surprisingly, is yes. Blizzard deserves props for the quality of its port, as control issues are few and the mapping of skills, which sees them bound to the trigger and face buttons, may even be superior to the keyboard. A new dodge mechanic has been added, as well, though it’s more of a nicety rather than a game-changing feature. Just one problem exists on the console; targeting. The mouse is very precise, and picking out a single foe from Diablo 3’s hoards of monsters requires that precision. On the console, however, directional auto-targeting replaces the cursor. Some gamers, particularly those playing on Hell or Inferno, will find this system frustrating because there’s no way to absolutely guarantee a specific monster will be targeted. This changes the entire metagame, reducing the effectiveness of builds that require precision in favor of those that fling area-of-effect or cone-of-effect attacks. Whether this will change the best end-game builds remains to be seen. The interface has been heavily revised, too. The Tetris-like inventory grid of the PC version has been replaced by a wheel system which provides access to lists of items and skills that fit in each respective slot. 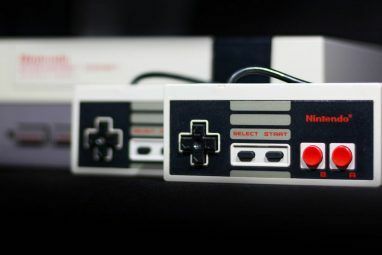 Bumper buttons allow scrolling between inventory, skills, and stats while face buttons allow for selection and comparison. Managing large numbers of items is more cumbersome on the console version, but the interface effectively translates the PC experience without discarding any features. 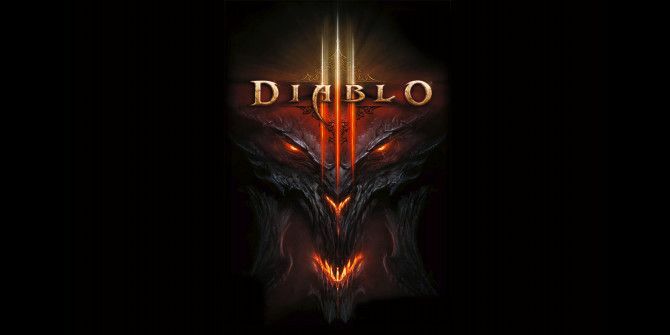 Diablo 3 for PC is hardly the most demanding game on the market Can Your Computer Run Diablo 3? Let's Find Out [MUO Gaming] Can Your Computer Run Diablo 3? Let's Find Out [MUO Gaming] Blizzard games are known for their cartoonish, high-color art style. By focusing on character and level design the company can make new 3D titles that are attractive but also relatively easy to run. Gamers sometimes... Read More , but the consoles are now eight years old. Can such hardware handle the graphics of a PC game released a year ago? For the most part, the answer is yes. As shown by Digital Foundry, the graphics quality is essentially equivalent to the PC version on high. Some barely noticeable lighting elements have been removed, and the game plays are a resolution of 1120×584 (upscaled to 720p or 1080p, of course), but otherwise there are no compromises. Shadow detail, physics, particle effects, and textures are equal to the best of the PC version. With that said, however, the console version does look a bit different. This is because the console game’s field-of-view is closer to the virtual ground and more dramatically angled. Some objects look larger, terrain obscures detail more often, and enemies approaching from the bottom of the screen appear with much less warning than those that approach from above. The console version of Diablo 3 is good. Very good. So good that some PC gamers have shouted their discontent over the features they’ve been begging for, but only the consoles have received. Is it so good you should buy it again? Maybe. Players who’ve wanted local co-op or LAN play should absolutely jump on this new version, as these features almost certainly won’t make their way to the PC. Other improvements, like better loot drops, will likely be patched in between now and the release of Diablo 3’s first expansion. If you’ve held off on the game because of its early bad press, however, this is the version you should buy. Better loot drops, couch co-op, LAN play, no online requirement, and all the added features patched in since D3’s original release make the console version the definitive version. 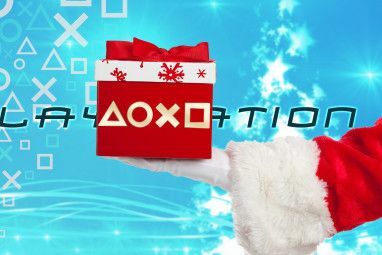 Explore more about: PlayStation, Role-Playing Games, Xbox 360. Assassin’s Creed Unity Is Free on PC (Temporarily)What Is The Best Gaming Laptop For 2013? Loot 2.0 on the PC has made the PC experience of Diablo 3 completely different from the time this review was made. Also the price drop on PC (it's now under £20 in local stores and direct from Blizzard 's online store) that's roughly 55% less than the PS3 version. Both are great games - but play very differently. If you have 3 or 4 players in your house then the PS3 version might be best is 4 player co-op is possible. I don't like shared screen co-op at such low resolutions mind you, the playing resolution for each player really is tiny, but others love it, so I guess that's just me. Got the game on the PC and the console and I can definitely say the console version is FAR superior. Sure targeting can be a minor issue and the inventory screen is not quite as precise as on the PC. However the console version more than makes up for this on the Offline play, MUCH higher useful loot drops and the ability to play 4 players on one screen (and one game more importantly as for me and my other half had to have two copies of the PC version to play it) makes this the one to have. People may moan about the game being made easier with the drops but actually all it does it make the game FUN to kill monsters which was the whole point in both Diablo 1 and 2. The PC version was tedious as you would get sooo much rubbish that was worth nothing and the only way to progress through Inferno past act 2 was to by the best gear for an extortionate amount of gold/real money. It became an economy first and foremost and it actually made me quit the game even though I have 4 classes who had all completed inferno. Also another good thing is that crafting is actually useful now as your much more likely to make a piece of gear that benefits the class you crafted it with (this seems to be the case with drops too). One minor irritation was the fact you could not import your PC characters however that said it would have made the game too easy as everyone would just have got their super uber brought gear onto the game and ruined it anyway. Grabbed my copy today. Yes, I already had the PC version, but I like the way I'll be able to play with the three other people that live here who don't have the PC version, kind of a money saver if you think of it in my case right? The only point I disagree with is the visuals. I hooked my PC up to my TV , loaded up the demo on the PS3, left the game at the exact same spot in both console and pc versions, switched inputs repeatedly and I must say, textures were sharper, lighting was better and character models were more refined in the PC version. Granted, the closer view point makes a difference so it's a trade off for some I suppose. I haven't bought the game yet and am torn between the two versions. The PC version would be nice since I moved my computer back to the office and would be playing on a 2K monitor. 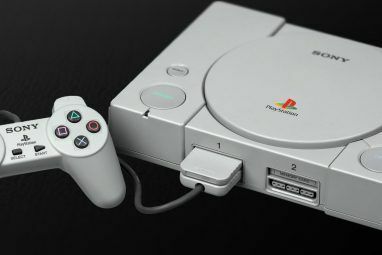 The console version, I could play with my wife or friends on the comfort of our couch with nice, big tower speakers and a 60 inch tv. It's these first world problems that keep me up at night. Seems like the console version of Diablo 3 is far superior, with better loot, no auction houses, and no requirement to be always online all the time. Blizzard has fallen so far. They're certainly not the same company I grew up playing the games of. Not surprised it looks just as good on the consoles. Diablo 3 is not a graphic candy game, that made full use of my video card. The game specs are low enough a basic no laptops will run it. As i already have it on PC i wouldn't bother getting it on a console. While this certainly isn't a very timely article, it's worth mentioning that Blizzard has announced they're going to remove both the real money and the gold auction houses from the PC version on March 18, 2014 as well as heavily tweaking the loot-drop systems in place via Loot 2.0 which, unless I'm mistaken, will be debuting with the expansion Reaper of Souls. So yes, in the interim it's probably fair to say there's a number of gameplay elements that are superior on the console version - but, with any luck, the PC version will become something worth playing some time next year. "it’s probably fair to say there’s a number of gameplay elements that are superior on the console version"? As a pretty casual gamer i have to disagree strongly. The features on the console version completely destroy the competitive gameplay and the fact that you cant target a spesific elite mob destroys many classes that depend on focusing on one target. If the screenshots i have seen from the equipment system are correct, the damage/protection/health system are brought to a childlike level where you no longer need to calculate anything about the stats. The game is brought to a much simpler state, obviously to please the younger and less experienced audience. This seems to be a trend with the franchises that focus both on the PC and console audiences. What it really looks like to me, at least, is that Blizzard just wants to enter the console market for more profit. If you don't compare it with the PC version it obviously is a good game, but the game experience is totally different. The PC version is, of course, harder to play and requires far more time and possibly money than the console but i for one (i might be an elitist on this issue) think that it's much more rewarding to actually make real effort to make your character the strongest, not just hacking and slashing your way in. I downloaded the demo on PSN, and I like it very much. Found using the controller very enjoyable, though targeting is not perfect. I wish they would add controller support for PC.